Home » Posts tagged "Advanced riding"
IAM Stand, originally uploaded by stevenjbaker. 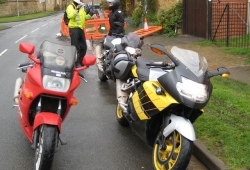 The ‘demon bike’ is supposed to be scary; perhaps not many motorcyclists are scared of their motorcycles. Most would want to know where to buy the headlamp modification. 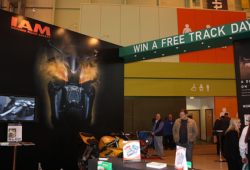 “Win a free track day” is promising, but the stand was rather quiet, which is a pity, as motorcycling deserves an advanced standard of rider.